SEO is one of the keys to generating more traffic to your website and getting more traffic can result in more potential sales. Optimizing your site for search engines can make your website rank higher in the search engines so that it will be more discoverable. 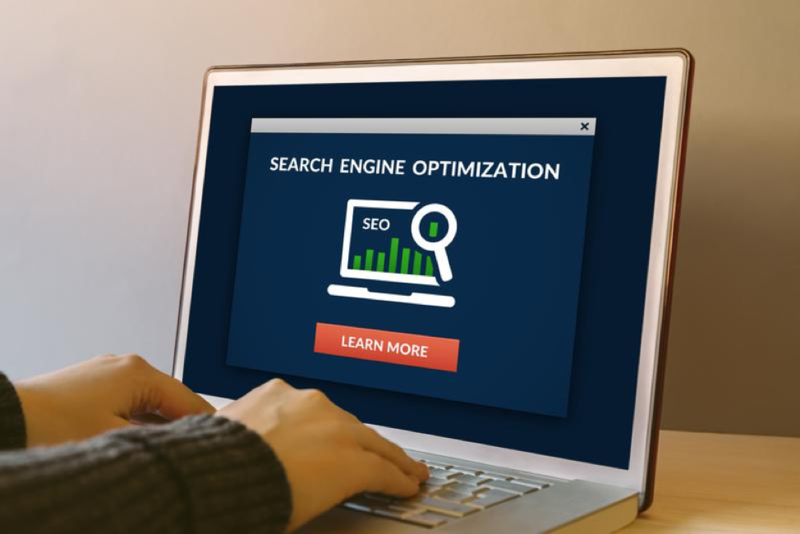 If you already have an existing website and want to boost your SEO, there are a few things you can do to get your website noticed by the search engines. While social media isn’t a direct ranking factor, it does help with SEO by allowing you to promote your brand directly to your target audience. It is a great place for you to build links naturally. Social media is a powerful marketing tool that doesn’t cost a dime. Almost everyone has a social media profile nowadays and interacting directly with your customers can help build customer loyalty and trust. Some customers tend to favor businesses that take the time to get to know them. Maximize your SEO efforts by using various social media networks. Make sure your home page is filled out completely with all the information customers will need to get in contact with you. Also, make sure your Google business information is properly and completely filled out. A lot of people find businesses by doing searches for businesses near them, so having your Google business profile filled out can help ensure that you’ll pop up when your target customers are looking for your types of goods or services. To be sure, the NAP information is the most important, but it’s hardly the only information customers (and google!) will want to know. You’ll want to make sure you include your business’s address, phone number and website in your contact info, and include links to any social media profiles. Generally, the more information the better. Using keywords that are pertinent to your business throughout your website can help optimize your site to perform better in the search engines. This doesn’t mean that you should keyword stuff, though. Rather, you should use the keywords organically and naturally throughout your content. You can do research to determine which keywords rank highest in your business’ category. Try to use a mixture of keywords and keyword phrases. Backlinks aren’t the only way to improve your site’s SEO when it comes to links. You can also employ internal linking to help optimize your website. Linking within your own website can help make your page more easily navigable for customers, and it’s also more Google-friendly when it comes to search engine rankings. One way to use internal linking is to link similar blog posts together and to link to the next and previous blog I posts in a series. Regardless of what kind of website you have, it’s important to write valuable content that your visitors can use to find an answer, get ideas and so on. Readers tend to return to websites that have proved helpful to them and writing valuable content that really helps readers can help establish you as an expert in the industry. All of this makes you look more reputable to customers, which can result in more returning traffic and higher search engine rankings. Outsourcing content writing can be a financially smart decision. Regardless of whether the content you write for your website is simply product descriptions, frequently asked questions or topics for a blog, make sure that the information you offer is valuable. Shorter URLs tend to perform better in search engine rankings than longer ones. Search engines like Google strive to make their search results more readable by humans, and shorter URLs are definitely easier to read than longer ones. Not only that, they are also easier for people to remember in case they want to revisit your website. People are more likely to remember a shorter URL and type it directly into the search bar than they are a long or overly complicated one. Keeping URLs as simple as possible is best for enhancing your SEO. Having a website is a great way to share your thoughts and ideas and to help get your business noticed by potential clients. In order for you to reach your target audience, though, you need to rank high in the search engines so they can find you. Social media platforms can help you connect with your audience, but search engine rankings are still important if you want to be able to connect with new potential customers who are searching for the goods or services you offer. Employing the SEO tactics listed above can help you boost your SEO right now so that you will begin getting more targeted traffic to your website.